My chocolate cravings are insatiable. I have a hard time keeping them at bay so I must have healthy chocolate options available at all times. At home I keep raw cacao powder and honey on hand to whip up a quick chocolate sauce and I try to have a dark chocolate bar stashed in my purse for emergencies. You never know when you’ll get stuck on an airport runway for two hours. Chocolate helps during these frustrating times. Sweet potatoes have become one of my staple breakfast items. Back when I began my days with a heaping bowl of oatmeal, I often added cacao powder to get my chocolate fix. 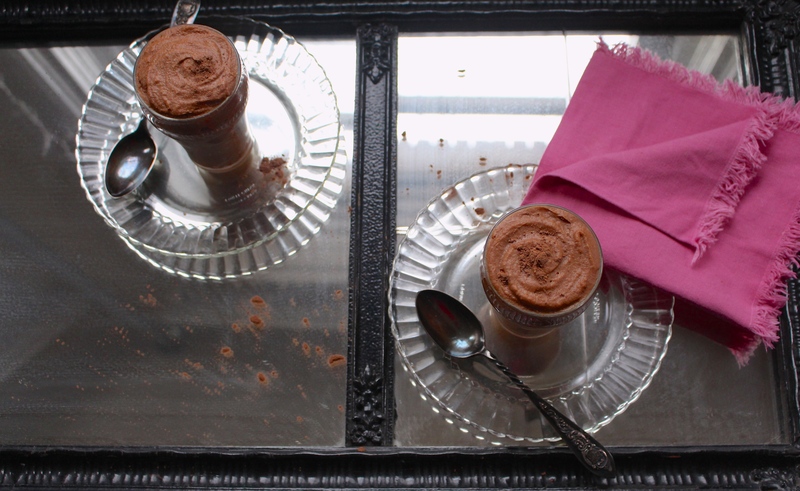 So of course I experimented with cacao in sweet potatoes and created the most amazing chocolate mousse ever! Ever. I’m obsessed with it and eat it several times a week now. The sweet potato’s texture is perfectly creamy, reminding me of the dairy version I used to love. I know raw cacao powder is not something most people have stocked in their pantry. If you want the full nutritional benefits in this recipe though then it’s worth the investment. You could use cocoa powder as a substitution and the taste will be just as rich. What you’re missing out on is the abundance of antioxidants, fiber content and higher amounts of calcium, sulfur, magnesium, phosphorus, iron, zinc and copper. Cocoa powder undergoes a higher heat process than cacao powder, which decreases it’s nutritional profile. 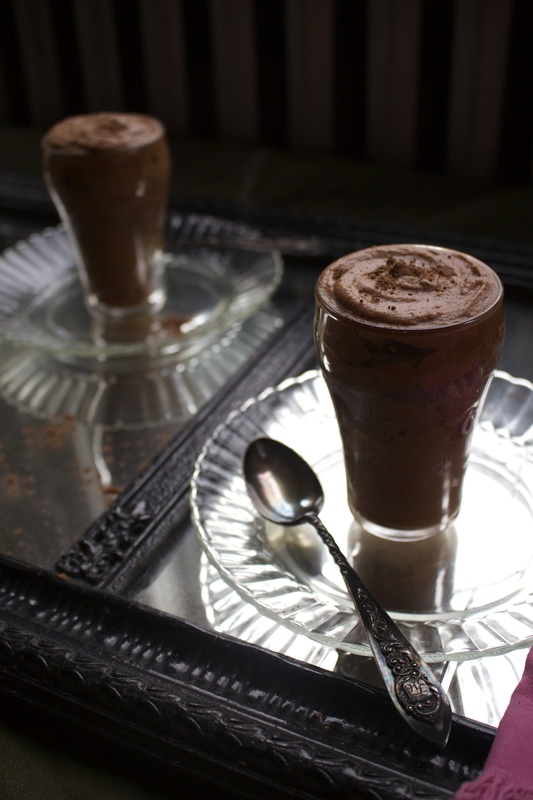 So don’t feel guilty when you dive into this delicious chocolate mousse. It’s full of nourishing ingredients! 1 cup full-fat unsweetened coconut milk – I use the canned Native Forest brand. 2 tbsp + 1 tsp raw cacao powder – Navitas Naturals has the best quality. ►In a large bowl, mash together all ingredients except the cacao powder. Once well combined, fold in the cacao powder. ►Transfer to a food processor and blend for 3 minutes until smooth. ►Pour into individual dishes and pop into the fridge for 2 hours. Take out 10 minutes before serving and give it a good stir. You want it to have that whipped consistency. 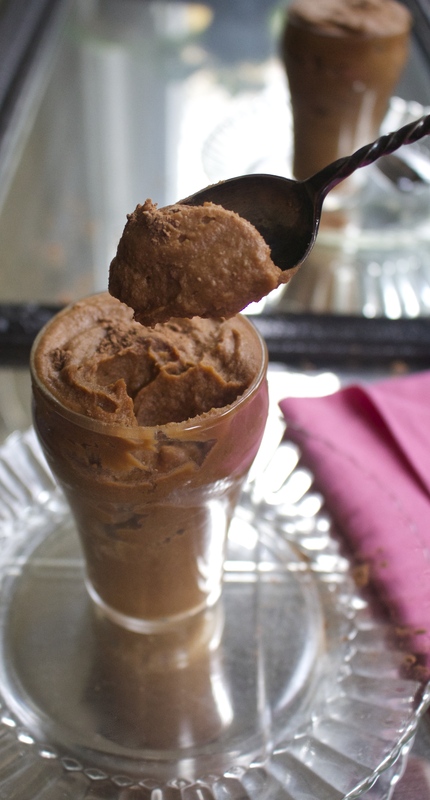 ►For a frozen treat, pop this into the freezer for a few hours!